These are sights that are on our list of "must see & do"
What's Happening? 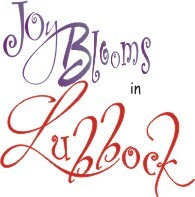 http://www.visitlubbock.org/calendar has a list of the various event & festivals. Check it during the month so as not to miss something wonderful. All about Lubbock - some things you may not know. If you're in Lubbock on a Friday or Saturday night--especially if it's the First Friday of the month, don't miss the Depot District. The Depot District is Lubbock's Arts District, and on the First Friday of the month, you'll find the First Friday Art Trail. On those evenings, funky, eclectic and even elegant galleries throw open their doors and show incredible art. Often times, there will be more than 30 venues. Quaint city trolleys ferry passengers from locale to locale, but you can usually walk at least part of the way. Catch the free trolley to visit all the exciting venues on the trail. First Friday Trolleys run continuously in downtown Lubbock during FFAT hours. Check the map to see where the trolley stops. The Depot District is bounded by 19th Street, Interstate -27 and goes all the way to Avenue J and Sixth Street. 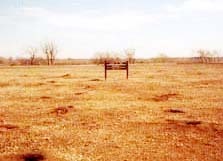 Prairie Dog Town is located in McKenzie State Park. Hundreds of prairie dogs and a few burrowing owls enjoy being fed in McKenzie State Park. We went here. Prairie Dog town? Was expecting to see a miniature village much like that at Tiny Town in Colorado. The "town?" is just a large dirt field with Prairie Dog burrows. There is a 2ft.+/- concrete wall fence around the perimeter. It keeps the people out but did not keep the prairie dogs in. Saw new "home" being built outside the "wall." Nope, won't go back, not even with visitors. 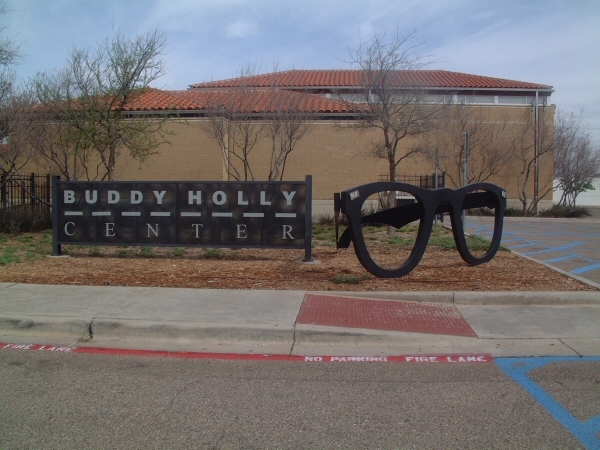 The Buddy Holly Center is located at 1801 Crickets Avenue in Lubbock, TX. It is open on Tuesday - Saturday from 10:00 am to 5:00 pm. It is also open on Sundays from 1:00 - 5:00 pm. Buddy Holly is a native son of Lubbock. So it seems fitting that the city would have a museum dedicated to him. This was one of the first places we stopped. The center has a collection of items from his childhood and from is days as a performer. They showed a biographical movie in the "theater." This is not an all-day affair. It only took a few minutes to walk through and see the sights. The best part was the extra large eyeglasses by the outside sign. Guess you have to see it once. Next time we go will be when we out-of-town visitors. Every September Lubbock hosts the Buddy Holly Festival to celebrate its native son. The festivities often take place around the Buddy Holly Statute and the West Texas Walk of Fame, located just west of the Lubbock Civic Center . The annual music festival, celebrated as close as possible to Holly’s September 7 birthday, draws thousands of people to hear music of the 1950s and 1960s. We missed it, maybe 2012 or maybe not. 2000, McPherson Cellars was created to honor winemaker Kim McPherson & father, Dr. Clinton "Doc" McPherson, a founder and pioneer of the modern Texas wine industry. Built in the old Coca-Cola bottling plant in the historic Depot District, the winery offers a great place to relax and enjoy a glass of wine, either in our tasting room or lush courtyard. 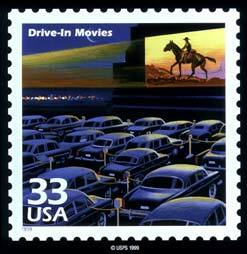 Stars & Stripes Drive-In located at 5101 Clovis Hwy in Lubbock. Between Frankford & Quaker on Hwy 84. We'll have to go there. It has three screens, each with two scheduled movies. The first movies start shortly before 9:00 pm. It has a 50's Cafe and a Gift shop. Oh Boy! We'll plan to take in a movie in Spring of 2012. Something to which to look forward. Definitely plan to visit in 2012! 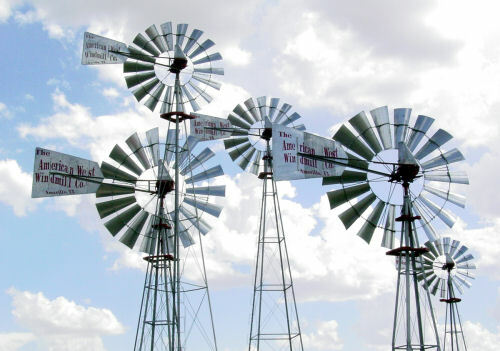 America Wind Power Center is a museum dedicated to the American Style Water Pumping Windmill and includes exhibits on wind power history. It is located at 1701 Canyon Lake Drive in Lubbock. The center has 120 restored windmills. Most are scattered along the grounds shared by the American Museum of Agriculture. The center operates the city's first wind-turbine which powers the center, the neighboring museum, and 40 homes adjacent to the grounds. Visited this one. Hubby is interested in doing some consulting in the wind energy area. We've been here 4 years and haven't gone yet - maybe this year - maybe not. 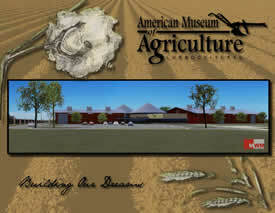 American Museum of Agriculture located at 1501 Canyon Lake Drive. The museum houses a collection that ranges from household items to Moldboard plows and tractors. It is open from 10:00 a.m. until 5:00 p.m. Wednesday through Saturday. Yep, maybe I'll get some inspiration there. The Depot District The Depot Entertainment District is the dynamic heart and entertainment center of Lubbock’s reemerging downtown scene. The Depot is the heartbeat of Lubbock’s nightlife. You can find a wide array of themed venues offering live music every weekend. Whether you visit all locations or have a favorite, you’ll have a fun-filled music weekend, Texas-style. Restaurants, entertainment and shops are also offered in the Depot Entertainment District. Surface area: 2,880 acres Maximum depth: 100 ft; mean depth 40 ft. Location: 45 miles south of Lubbock and 4 miles east of Justiceburg on the Double Mountain of the Brazos River. 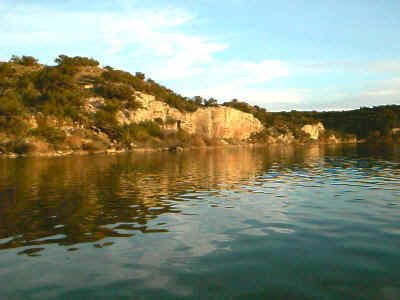 The lake extends eleven miles between the rocky sides of the river channel and has fifty-six miles of shoreline. Joyland Amusement Park located in beautiful Mackenzie Park in Lubbock, Texas. From I-27, take exit number 4. Enter Mackenzie Park from the North bound access road. JOYLAND begins the 2011 season March 19th (weather permitting) and remains open through October 2, 2011. 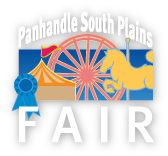 The park opens at 2:00 PM on Saturdays, Sundays, and holidays and 7:00 PM weeknights beginning May 31 and running through August 19, 2010. Closing time varies during the spring and fall. The armband entitles guests to ride all the rides (except where safety regulations impose height and/or weight restrictions). 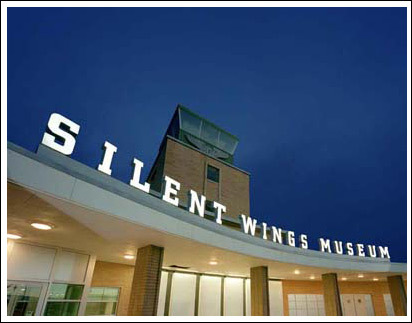 Silent Wings Museum Driving Directions: From I-27 take Exit 9. The museum is located two blocks east of I-27. Look for the building with the silver "G-Wings" on the tower. Mon: CLOSED Tues - Sat: 10:00 a.m. to 5:00 p.m. Sun: 1:00 p.m. to 5:00 p.m.
Must visit the Gift Shop - has a Texas-shaped cookie cutter and wonderful Texas mugs - reasonable prices too. It is a collection of historic houses and buildings that have been brought to the site and restored. If possible, call in advance and find out when the Docents will be in the houses giving extra information. 7 days a week during daylight hours (dawn to dusk). Today, the collection ranges from household items to Moldboard plows and tractors. The American Museum of Agriculture currently houses restored tractors, a threshing machine, broadcast binder, combine, 71 pedal tractors, 300 die-cast toy tractors, and approximately 300 other artifacts and pieces of smaller equipment. In storage, the museum has horse-drawn equipment, field condition tractors, threshing machines, combines, grain binders, mowing machines, grain drills, hay rakes, hay balers, cotton strippers and cotton trailers. Established in 1929, the Museum is an educational, scientific, cultural, and research element of Texas Tech University. It is a not-for-profit institution by virtue of being a part of Texas Tech University. The Museum is an educational, scientific, cultural, and research element of Texas Tech University. 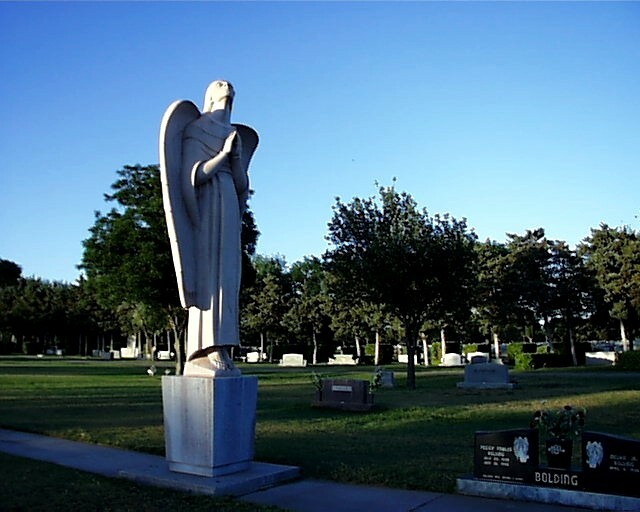 It consists of several components: the main Museum building, the Moody Planetarium, the Natural Science Research Laboratory, the research and educational elements of the Lubbock Lake Landmark, and the Val Verde County research site. The Museum of Texas Tech University was first accredited by the American Association of Museums in 1990. The Lubbock Lake Landmark, a renowned North American archeological site, contains a complete cultural record from the Clovis Period (12,000 years ago) through historic times, making Lubbock one of the oldest communities in the world! The Landmark is home to the Robert A. "Bob" Nash Interpretive Center. Learning Center, offering tours of the site daily, and the archeological facility, the Quaternary Research Center, where ongoing investigations are conducted into the ancient history of the region. Lubbock Lake Landmark is located at North Loop 289 and the Clovis Hwy (US 84) on Landmark Lane, just north of the Clovis Hwy and west of the Burl Huffman Athletic Complex. Free public parking is available on the hill above the Robert A. "Bob" Nash Interpretive Center. Admission is free of charge. The NSRL is not generally available for public viewing, visit the NSRL website for more information Natural Science Research Laboratory -- The Natural Science Research Laboratory (NSRL) is a division of the Museum of Texas Tech University committed to the mission of building and preserving a library of our planet's natural heritage for education and research purposes. Innovative programs in Systematics, Data Management, and Biological Informatics make the NSRL a leader in preservation methodology for biological collections across the country. The NSRL affords vast resources for scholarly study. It boasts collections in mammalogy, herpetology, ornithology, invertebrates, and genetics resources. The Recent Mammal Collection contains over 175,000 specimens from all over the world; the Invertebrates Collection contains over 1 million specimens. An 18,000+sq.ft. addition was constructed in 2004-05, with funds from Ben E. Keith, to provide for expansion of collections and services. Moody Planetarium -- The Moody Planetarium, originally an 82-seat, 30'-diameter domed auditorium equipped with an A4 Spitz Starball projector, has undergone extensive renovation, chiefly funded by the Museum of TTU Association. When it reopened in 2006, the planetarium boasted state-of-the-art equipment and programs. The newly outfitted, 71-seat Moody Planetarium offers daily public shows and specially scheduled school programs about science and astronomy, along with exciting laser and sounds shows. Diamond M Gallery -- The Diamond M Gallery wing was added to the Museum building in 1996 to house and exhibit the large and impressive collection of the late Clarence Thurston and Evelyn Claire Littleton McLaughlin. The wing consists of three public galleries and a non-public basement for work and storage. Most of the Diamond M Art Collection has been on display in the galleries and the shows are changed periodically to allow the collection to be available to visitors, as one of the wishes of the Diamond M Foundation, donor of the collection, was that the collection be available for public enjoyment and education. Cowboy poets, musicians, storytellers, artists, historians, authors, editors, publishers, exhibitors, horse trainers, re-enactors, photographers, chuck wagon cooks, honest-to-goodness cowboys and many more are heading to Lubbock to celebrate the United States' largest gathering of ranching, cowboys and the western way of life. And Lubbock ’s July 4 celebration is a major ordeal. The Independence Day festival, which is completely free, is among the largest in Texas. Activities include a parade at 10:00 on Broadway, a street fair along Broadway Avenue, food vendors, live music, a luncheon, and an evening concert with fireworks. This one of Texas' Top 10 July 4th celebrations. missed it too -- maybe next year -- or maybe not. These are sights that are on our "bucket" list.